Empire Physiotherapy recognises that your activities are important to you, and that to ensure your best performance your body needs to be in its very best condition. We believe in enhancing your physical well-being from the inside out, working with you to identify the cause of your aches, pains and discomfort and creating a recovery programme tailored to your lifestyle and physical demands. 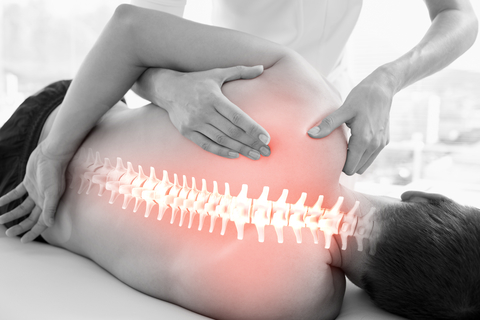 We specialise in musculoskeletal stability, with an experienced team who specialise in everything from the neck down to the toes. We also provide medical acupuncture, sports massage, desk screen equipment assessments, custom made insoles, and occupational physiotherapy, with an eye to reducing NHS waiting lists and giving clients early access to a reliable physiotherapy service – all at a reasonable price. 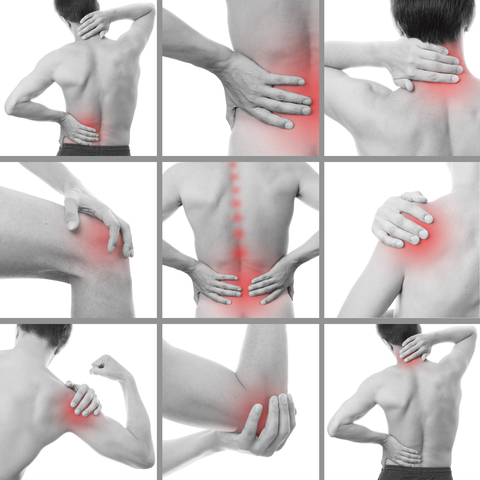 Our focus is to not only eradicate any immediate pain or concern, but to provide patients with the sustainable solutions and exercises that they can take home with them to ensure a speedy recovery. We believe the best treatments are those that come paired with education, giving patients the information that they need to reduce the risk of the injury reoccurring. Empire Physiotherapy practitioners are registered with the Health and Care Professions council (HCPC), Chartered Society of Physiotherapists (CSP) and the Acupuncture Association of Chartered Physiotherapists (AACP). 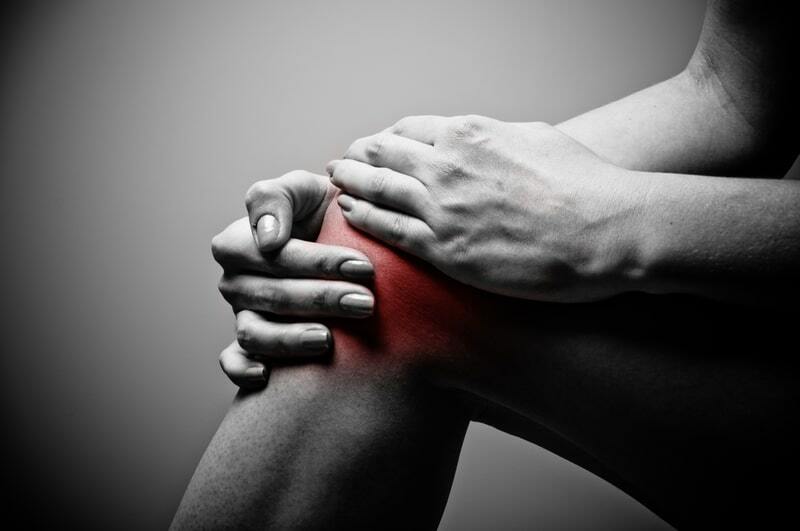 At Empire Physiotherapy we specialise in a range of musculoskeletal conditions, from acute sporting injuries to long-term chronic pain conditions. What To Expect During Your Initial Visit? On your initial visit to the clinic your physiotherapist will carryout a detailed initial assessment to determine your diagnosis. After a precise diagnosis your physiotherapist will explain your diagnosis and go through treatment options based on latest research, then take a hands on approach to treatment. Where appropriate your physiotherapist will refer you to other healthcare professionals in the clinic. Ken is a compassionate and experienced practitioner, dedicated to achieving superior patient outcomes. Having qualified as a Chartered Physiotherapist from Brunel University, Ken has continued to develop his clinical knowledge through evidence-based practise and professional development courses. Ken has completed several post-graduate courses including Sports Trauma Management, Acupuncture, Orthopaedic Massage, Orthopaedic Assessment, Muscle Energy Techniques, Neural Mobilisations, Kinesiology Taping and Desk Screen Equipment Assessment. Ken has achieved several sporting achievements including being nominated best boxer twice and being named the British Army’s 800 metre major teams champion. His own sporting drive means Ken is particularly dedicated to achieving the best outcomes for athletes with MSK injuries. Ken combines his private physiotherapy work with Advanced MSK physiotherapy for the NHS, which involves treating both patients and NHS staff via occupational health, implementing rehabilitation classes and participating in occupational health promotion days for various hospitals within the trust, giving advice regarding specific and more general MSK problems. Elaine has always been interested in the area of health and fitness, after engaging in a variety of sporting activities from an early age through both work experience and more general participation. She competed in athletics and netball from a young age, and has since participated in other sports such as beach handball and rowing, allowing her to understand the various demands on the body from different sports. Elaine’s mother was a Senior Neuro Physiotherapist and is credited by Elaine as her biggest inspiration in her drive to help others. Elaine thoroughly enjoys learning and is continually keeping herself and the team up to date with the latest Physiotherapy research. She thrives on hearing about the achievements of others, and is keen to help people achieve their physical goals through a holistic approach. 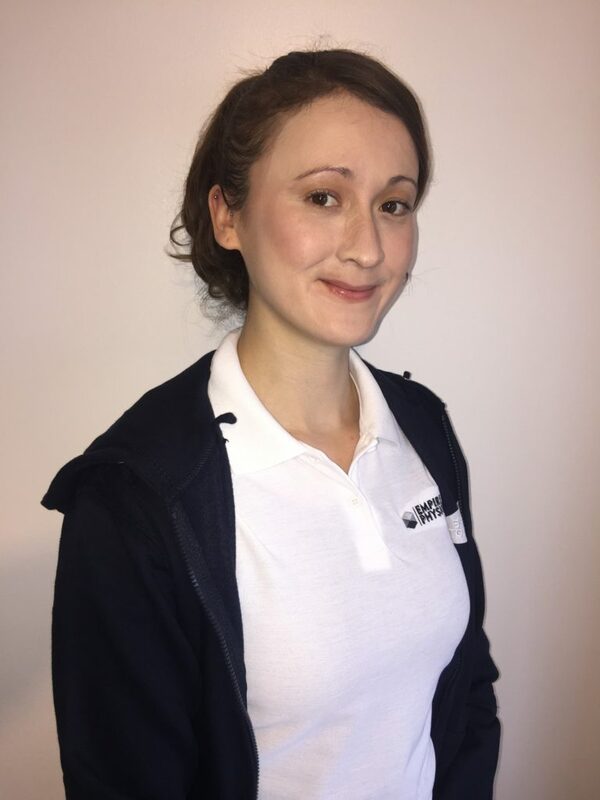 Elaine’s holistic approach to working has been gained from working in different settings, including her work as a fitness instructor and coach whilst studying, and working as a Sports Therapist for football, rugby and hockey clubs. Currently, Elaine also works as one of the Physiotherapist’s at Redingensians Rugby Football club and in the NHS. Chris has been interested in a variety of sports and sciences from a young age, and after shadowing Sport Therapists for work experience in school he was inspired and found it to be a viable career path. 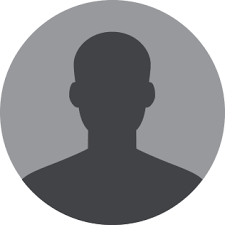 He is an individual who is dedicated to client satisfaction. Chris spent 3 years studying Sports Therapy at Coventry University where he developed an in-depth understanding of sports and exercise rehabilitation, manual therapy techniques, physiology of training and sports massage. Alongside his studies Chris also worked at the Coventry and Warwick University clinic, helping him to build the foundation of clinical skills which he now engages as part of his every day work. In his spare time Chris is active and participates in a range of sports, providing him with an ongoing understanding of how different activities can affect the body at different stages. Since graduating Chris has continued to engage in professional development and broadening his clinical knowledge through ongoing learning and professional courses. 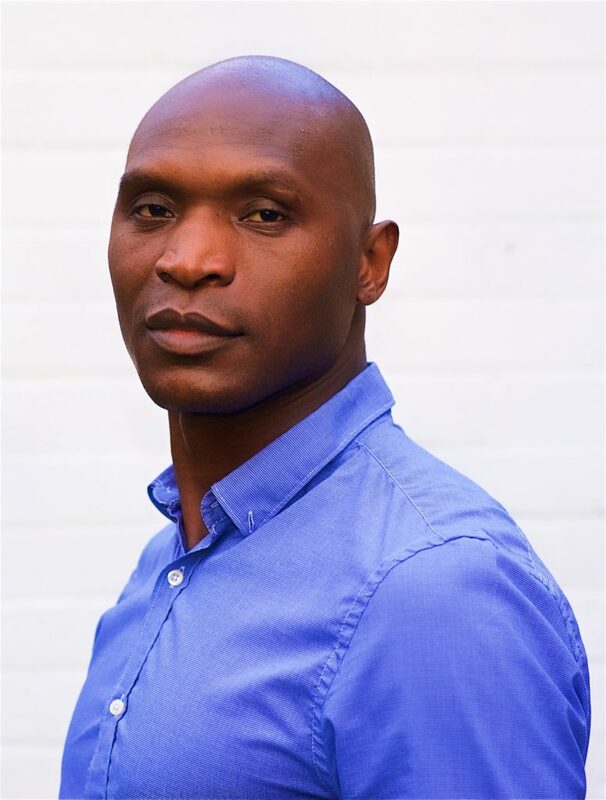 Leeroy is an enthusiastic therapist with a broad range of skills and experience, gained from working across clinics and sport teams during and after his time at university. His three-year study at the University of Kent allowed him to grow and adapt into his role as a Sports Therapist, giving him the opportunity to witness different sporting injuries and issues first hand. This included working alongside some semi-pro football teams, basketball players, rugby teams, track and field athletes, and marathon runners; all from different age groups. Particular events that Leeroy has covered as a Sports Therapist include The London Marathon and Greenwich annual varsity games. Leeroy prefers a multi-dimensional approach to treatment, and aims to get clients back into their optimal shape and performance by engaging a variety of evidence-based and innovative techniques, whilst incorporating the use of hands-on manual therapy and exercise-based treatments. Lee Joined Empire physiotherapy in early 2018, and since then has participated in some of our biggest events at Slough rugby and hockey club. Leeroy continues to develop his knowledge and ongoing learning within our clinical setting, bringing his own expertise and approach to our clients.